Finding the right bat is like finding the perfect wife. You have to kiss as many frogs as possible before getting to the prince/princess. 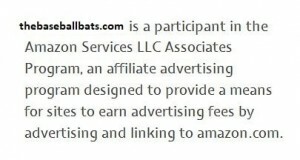 In this case, you will need few bats so that you can find the perfect one. In your case though, you need not worry because we got you covered. There are many bats out there that range in terms of sizes, leagues, and materials. When choosing a perfect bat there are things that you should consider. The Miken dc41 though not common as other bats, it meets the threshold of being a great bat. Below we will give a detailed review of the Miken DC41 Supermax. With the Miken brand celebrating their 20th year anniversary this year, they have surely defined the bat industry with their wonderful brands. The Miken dc41 bat is made of composite material which explains its great pop sound. 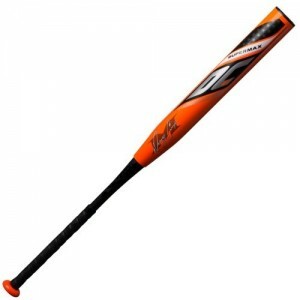 It has a 2 piece material which adds to powerful hitters without the worry of vibrations. With a 2 ¼ inch size the sweet spot is large enough to allow a decent hit. As we all know baseball is majorly an American sport and with that most people prefer American materials because they are more durable unlike most knock-off materials from China. The Miken dc41 is made in America with American materials and it comes with a one year warranty. The triple matrix corea – with the Miken dc41 made of the aerospace material, the triple matrix increases its volume by over 5 percentages by getting rid of its wall seams through a carbonized process. This technology maximizes the bats’ durability and performance. The flex 2 power – with the bat size being 2 ¼ inches the flex 2 power increases the bats’ head speed to the sweet spot. This is through optimizing handle flex to barrel loading. 100 compa – this is a new technology that involves the use of a 100 percent aerospace grade material to boost performance and durability. This technology has changed the whole concept of the traditional bat which would break or dent easily. Unlike other bats that require several swings to break, the Miken dc41 comes hot out of the wrapper. That is it is ready for game time. The bat length is crucial if you are to make powerful hits. The Miken dc41 is not shy of that, with a length of 14 inches you are sure to have few mishits. The Miken dc411 comes with a 2 ¼ inch barrel which enlarges the sweet spot thereby allowing a great pop sound. When it comes to durability, the Miken dc41 is quite durable. With an addition of an aeroplane grade material, the composite material is reinforced to give a better performance and durability. The new generation bats are either made of aluminum, composite or alloy, but the real difference in composite bats lies with the frame. Bats made of one piece frame swing easily hence optimizing on speed but they are less powerful hitters. As the rule goes a good bat requires both speed and power, the Miken dc41 is a 2 piece frame, hence a powerful hitter without compromising on speed. Over the years the composite bat was used majorly in softball but gradually it has found its way to baseball. The National league has introduced new measures that will define what kind of bats can be used. The Miken dc41 gradually increases performance thereby allowing users to make homeruns with ease. It has a wonderful grip allowing users to have a comfortable feeling while swinging. Finding the perfect bat can be a daunting task especially if you have no clue where to start. Before picking a bat there are factors that you should consider among them are bat length and weight, sweet spot, bat material, and durability. The Miken dc41 having met the above threshold it can be ranked as one of the best bats in the market. With an aero-plane grade material, you are sure to enjoy a wonderful performance over time. Unlike other bats which require break-in time before it can be perfect for use, the Miken dc41 comes hot out of the wrapper allowing you to enjoy a professional game without the hassle of breaking it. If you in the market for a bat, why don’t you try it and leave a comment and tell us your experience?